So far we have told you that DSK plans to launch the new bigger GT300R as well as the updated GT650R in India by mid-next year (link to report). The other motorcycle which hogged the limelight from the Korean’s stable was the naked GD450 and how can we miss asking Shirish Kulkarni, head of DSK Hyosung, about it as well as the Indian plans of other GDs. Mr Kulkarni was quick enough to quash the bike for an immediate or a short term Indian launch. He said that the big GD needs another year before it can be launched here. He also revealed that the GD450 is not production ready and Hyosung is still working on it. 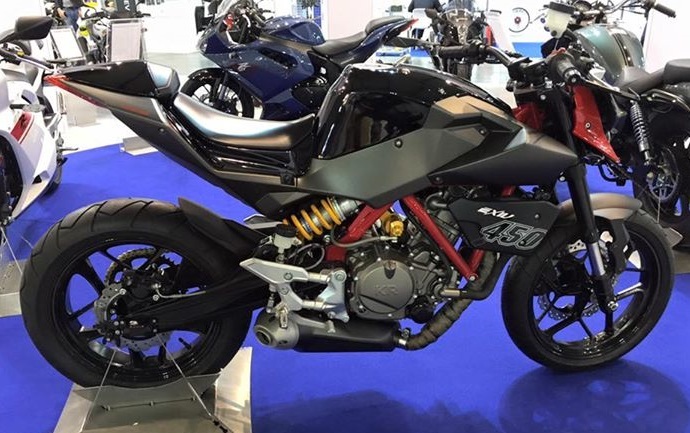 We understand this since the EICMA model was unveiled as a prototype and not as a finished motorcycle. In fact, he confirmed that no bike from the GD family will be launched in the next 12 months! So far, KTM Duke 390 has been the default choice for all the streetfighter performance enthusiasts. 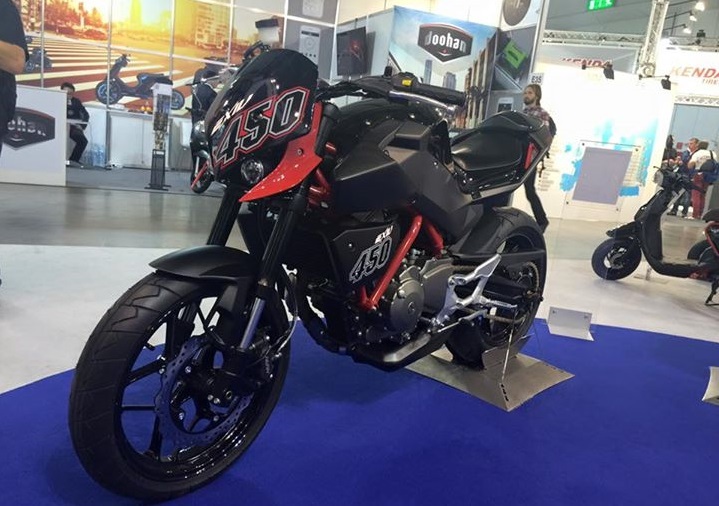 GD450 grabbed a lot of attention because of its aggressive naked styling and drooling specs – it produces 50 PS of peak power at 7500 rpm and 47.7 Nm of max torque at 7000 rpm from its single cylinder 450 cc engine. Add the relatively super-light weight of 145 kg and you have a pocket-rocket in the making. The only gripe with the motorcycle we see is the small 11 litre fuel tank! Let us hope the production version gets a bigger capacity tank and faired version of the motorcycle is also expected to be made sometime later. Stay tuned we have some more news for you from the DSK (Benelli & Hyosung) camp.